The DD400 effects pedal offers subtle to radical stereo delay and echo with a resolution comparable to state-of-the-art studio processors. 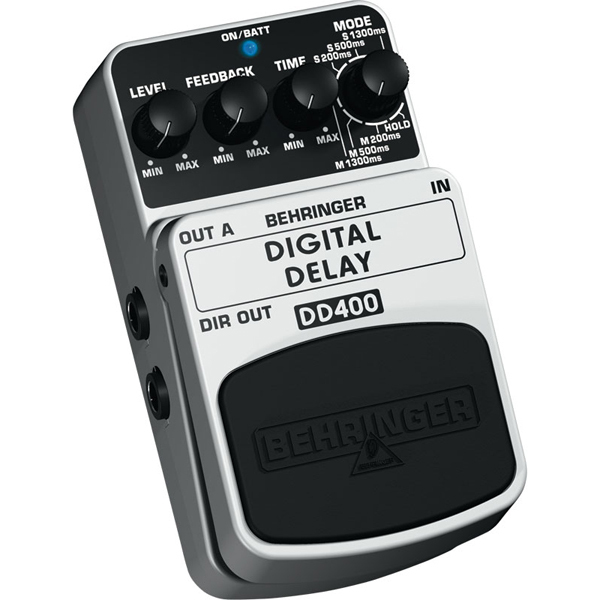 The DD400 has 7 different modes and a delay time of up to 1.3 s. It features dedicated Mode, Time, Feedback and Level controls for awesome sound shaping. A cool blue status LED for effect on/off and battery check plus a first-class electronic on/off switch for highest signal integrity in bypass mode are included. The DD400 runs on a 9 V battery or a DC power supply (not included).